Almost 3 years ago I entered a position in Boom Logistics with a simple thesis. The company, that specializes in renting out cranes, was at that point in time trading at A$0.135/share while it had A$0.51/share in tangible assets, mostly consisting of cranes and other big equipment. My bet was this equipment could easily be sold for a price closer to book value than the market was implying, giving downside protection even if the business would not turn around. Now that we have moved forward a couple of years in time it’s easy to check if that was indeed true, and it appears that I was wrong. 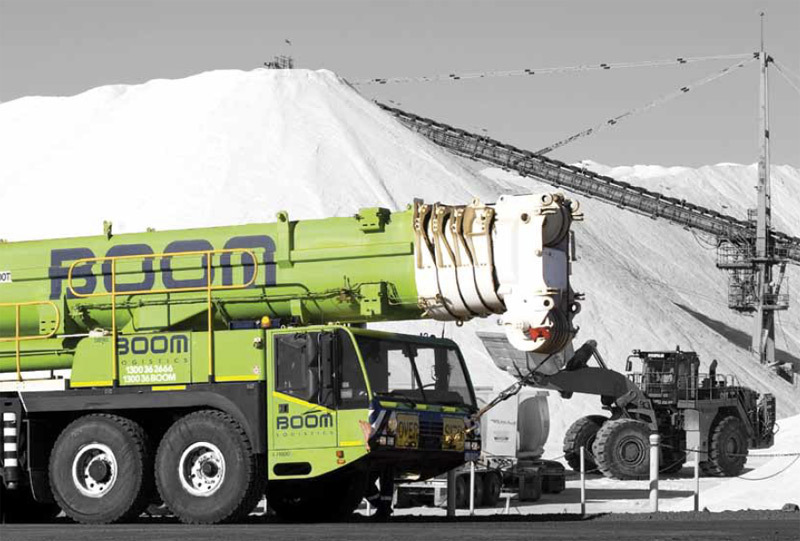 The business has so far not yet turned around, and while Boom Logistics managed to use equipment sales to manage their debt load net tangible assets per share dropped to A$0.33 in the mean time. In the first half of FY2017 the company for example transferred A$4.7 million in equipment to “assets held for sale” while recognizing an impairment loss of A$1.9 million, implying a discount of 42% to book value. If we take a bit of a short cut and apply the same discount to their whole fleet of cranes we get a NAV/share of A$0.16. Still a bit higher than the latest share price of A$0.12, but it’s a marginal difference (and in 2016 the discount was actually bigger). So I sold my position today, incurring a loss of 11.1% on my purchase price. Obviously not a great result, but you can’t be right all the time. Although in this case, I’m pretty sure that if I would have followed the company closer I would have recognized that my thesis was broken earlier. So that’s something I’m trying to improve on. This entry was posted in Portfolio and tagged BOL.AX on April 12, 2017 by Alpha Vulture. What could you have recognized earlier? That my perceived difference between market value and liquidation value wasn’t there or wasn’t that big as I though. Was this the first indicator that the gap between market value and liquidation value wasn’t as big as initially thought and when did this happen? *I don’t know a thing about the company so I’m not sure when “first half of FY2017” was and when this was revealed. First half of FY2017 ended 31 December 2016 (and those results were announced a bit less than two months ago). But FY2016 results should already have contained the same information, should have been enough to change my mind already. Did FY2016 results reveal deteriorating NAV (severly enough to make you question whether the gap is big enough to warrant buying the equity)? Couldn’t tell from your statement above. I would think a company like this would benefit from Trump infrastructure spending going forward…. Is the business losing money? Sure, an Australian rental company that has the resource sector as it’s biggest clients??? Seems a bit far fetched. I think that you could consider yourself even if they would let you have the opportunity to drive that big crane truck around for a few hours and maybe do a few maneuvers with the crane, even if you had to pay your own airfare. I would think it the least the company could do for you given that they lost your money. In that case I would like to invest in http://panzerkutscher.de/en/ . If I lose money, I get to drive in a tank?